Princess Haya of Jordan, daughter to the late King Hussein, a highly spirited woman lives both a modern and Arabic lifestyle in the role as a wife and daughter in today’s Arabic society. She is married to the ruler of Dubai, Sheikh Mohammed bin Rashid and is a mother to her one-year old daughter, Al Jalila. 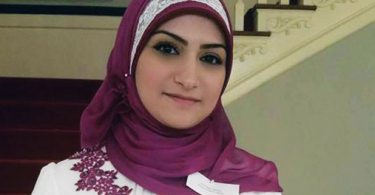 Currently residing in Dubai, she still makes frequent visits to Jordan where she was raised. When she was a young girl, Princess Haya’s mother, Queen Alia, was killed in a helicopter crash. The queen was much loved and died at the age of only 28. Following her death, the princess was expected by the Jordanian people to “live in her image,” something which neither she nor her father felt she needed. As King Hussein continued to bring his daughter up, he imprinted on her, the importance of being who she wanted to be. Today, Princess Haya is a well-respected royal, and has such a natural way about her, a beautiful smile and good mannerisms. As a child she would often misbehave, so as to be kept in during break times so that she might complete her homework. In doing so, she would be able to follow her father around in the afternoons and not have to bother about schoolwork, and was a rather glum child. Princess Haya developed a love for horses and at the age of 12 she was already a champion show-jumper in Jordan. The riding which she so loved was a release for her, from the everyday lifestyle which she lived. She then had the wonderful opportunity of spending ten years of her life training in Germany and Ireland, where she was not exposed to all the conflict in the Middle East. Princess Haya was not keen on getting married at a very young age unlike many other Jordanian women, but did get eventually get married. She met Sheikh Mohammed at Jerez de la Frontera in Spain, where both were taking part in the World Equestrian Games, and the two fell in love instantly. She is his second wife, but is quite content in her marriage. As a child she would often be jealous when her father devoted much of his time to Jordan, and so she learned to deal with it from a young age. Hence, her husband’s involvement in Dubai comes as not such a great a challenge as it would be for some. Today, the Princess still has ties to her home country and was the founder of Jordan’s first non-governmental food aid organization, Tkiyet Um Ali. She says, “In our region it’s incredibly difficult for governments to admit they have a hunger problem, and our organization has opened a door for the subject to be discussed, so I’m proud of that.” Princess Haya is also a UN Messenger of Peace, and plays an active role to promote its Millennium Development Goals, concerning hunger and poverty. Her father often used to mention how proud her mother would have been of her and Princess Haya has realized that a lot of her character comes from her mother.